The Barrister Brief: Can I Appeal an Appeal I Lost? 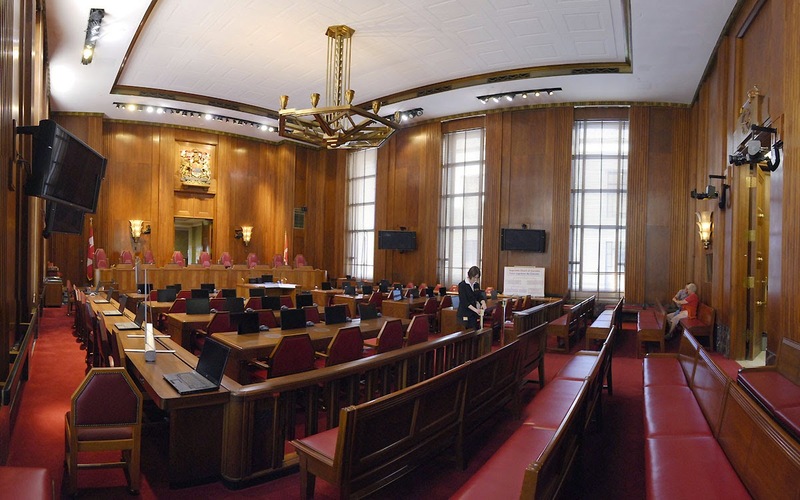 Interior of Supreme Court of Canada. Regardless of the level of court you start at with your appeal, there will always be a chance of at least one more appeal level if you lose the first appeal. Sometimes, there will be two or even three more appeal levels. More than a few people at times find all the possible appeals that can happen in a case to be a ridiculous abuse of the judicial process, but those possible appeals are the fundamental injustice check valve for a judicial system staffed by imperfect humans, who are prone to factual and legal errors. So just as for any trial you lost, after which you asked yourself the fundamental question - should I appeal? - you can also ask the same question after an unsuccessful appeal, regardless of whether you are the appellant or the one responding to the initial appeal. Whether you attempt to appeal further may depend on similar factors upon which the original appeal was dependant: the importance of the result to you, the justice of the case, the availability of grounds of appeal, and your resources to support an appeal. Just as trial judges can make errors of law, so too can appeal judges. Sometimes, you might win at trial, lose on appeal, and then win on further appeal. Never assume that there's no way to further appeal an adverse judgment - consult a appeals lawyer, who can advise you on where a further appeal might be brought, and on your chance of success. Don't assume that the higher your appeal goes, the lesser your chances of success. I've seem some quite shocking reversals even in the Supreme Court of Canada, where a party has won at trial, and at the initial appeal, but then lost at the Supreme Court of Canada. The trick for any appeal beyond the first initial level is to convince the higher appeals court to hear your appeal in the first place, as the court's "leave" to appeal might be required. Supreme Court of Canada cases almost always require leave, and leave is only granted to about ten percent of those who apply. So you will really need to sell the higher appeal court on the justice (or injustice) or your case, as well on the egregious errors of law. Plus, for the Supreme Court of Canada you'll usually have to demonstrate an issue of national importance.